Ueshiba (like others such as Methodist Founder John Wesley) astonished his followers by arising at 4 a.m. every morning to pray and meditate. Aside from the daily morning miracle of sunrise, there is nothing magical about the hour of 4 a.m. except this: someone willing to leave the comfort of a warm bed at that hour is not playing or dabbling, but is in very serious pursuit of a goal and will achieve corresponding results. What are these results? Solitude in the midst of confusion. Time with yourself and with God. Patterning of goals, images, and activities. Marked shift in perception of time. 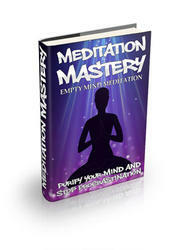 The practice of meditation is often urged just for relaxation. But what is the benefit of relaxation? Not being tense? A good thing, but there's more. Relaxation induces an alpha1 state, considered by many to be best for learning and patterning. Because of its association with Eastern religions, meditation is viewed by some Christian fundamentalists as,an Eastern heresy. In fact, it is recognized by all the great world religions, including Judaism and Christianity (both originally "Eastern religions"). It is mentioned repeatedly in both the Old and New Testaments and throughout the writings of the great saints. On the secular side, Freud and especially Jung recognized the importance of meditation in one form or another. The following exercises feature not only imagery, but changes in point of view. Some are done while sitting quietly alone. Others can be done throughout the course of the day while immersed in the stream of "real life." 1. Alpha refers to the frequency of the brain's electrical activity of 8 to 13 hertz (cycles per second). Biofeedback machines and tapes are widely available but expensive compared to simply closing the eyes. On the other hand, you may want to experiment with an "electronic uke." There are many electronic biofeedback devices on the market today; inexpensive ones are available from various scientific-novelty stores. Ordinarily, a range of tones or colors indicates a range of relaxed or stressed states. Experiment with raising and lowering the tone or changing the colors. What happens when uke begins to test? At what range are you more stable? Less stable? Can you raise or lower the tone at will? Love and protect all you meet. Show gratitude for all you have. Do good in secret (entoku) without expectation of reward. Have soft eyes and a composed manner. Think deeply and see clearly. Maintain a spirit of unshakeable composure. 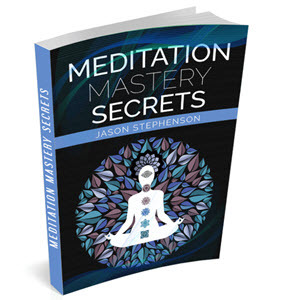 Much of the groundwork for these characteristics is laid in quiet, meaningful meditation.